...and an important heirloom brooch. 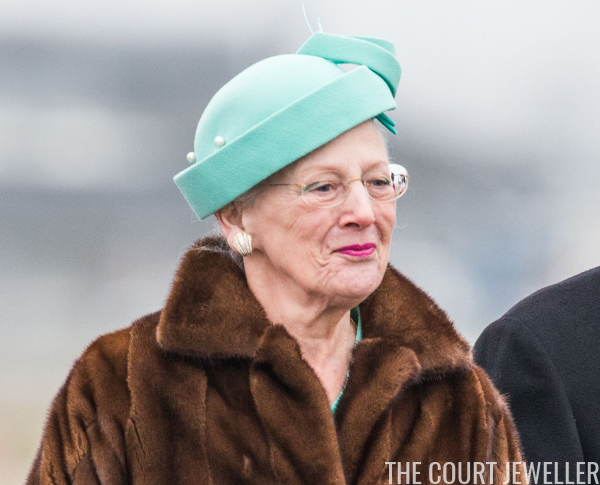 This pearl and diamond bar brooch was an eighteenth-birthday gift to Margrethe from her great-aunt, Lady Patricia Ramsey (born Princess Patricia of Connaught). Patricia wore the brooch on her wedding dress, and Bjarne Steen Jensen theorizes that it was made by Garrard. 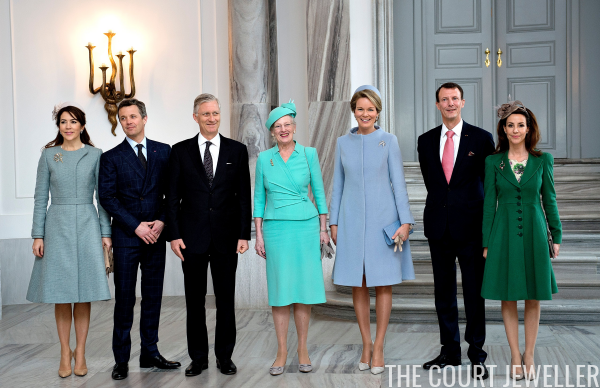 Queen Mathilde wore diamond and pearl earrings with an unusual brooch. Here's a closer look. 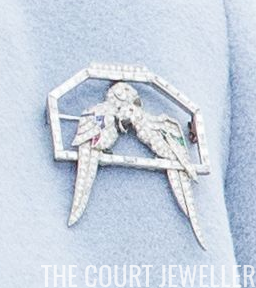 The brooch features a pair of lovebirds perched on a frame. 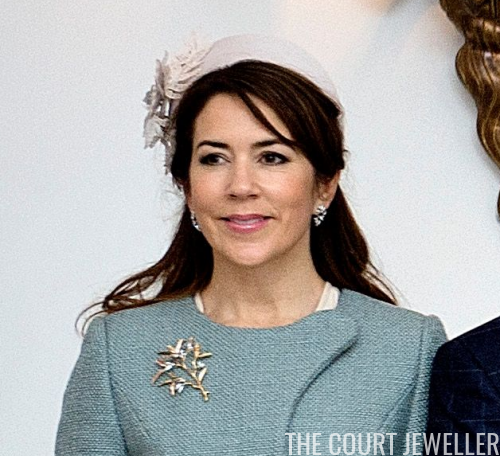 Crown Princess Mary wore earrings and a brooch with a natural design. 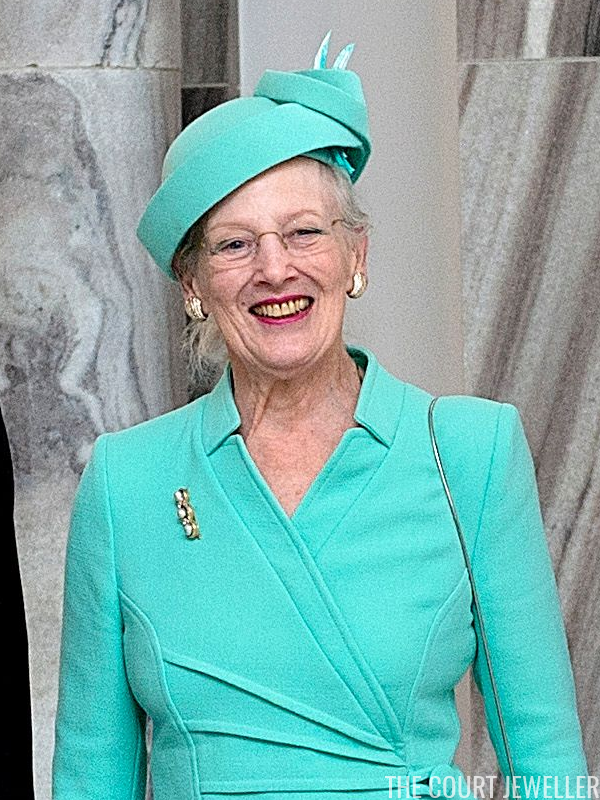 I think both the brooch and the earrings are from Ole Lynggaard Copenhagen. 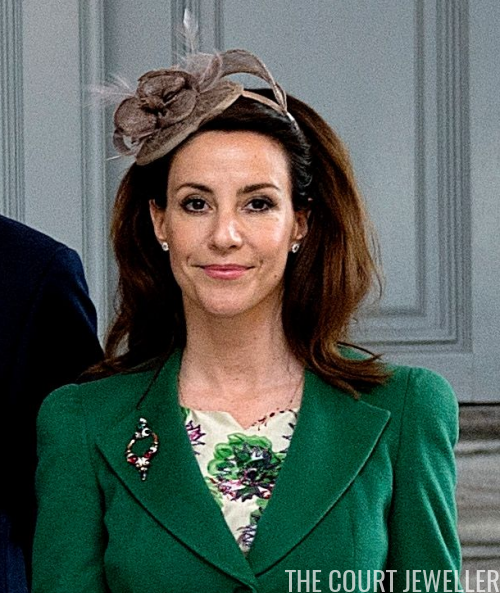 And Princess Marie wore a brooch that coordinated nicely with her coat and blouse.